Description: A nice little crag with a half-dozen or so pleasant routes that are great for the end of the day. Directions: The Cosmic Crag is a small cliff at the top of the South Buttress of Whitehorse Ledge directly above Hotter Than Hell. 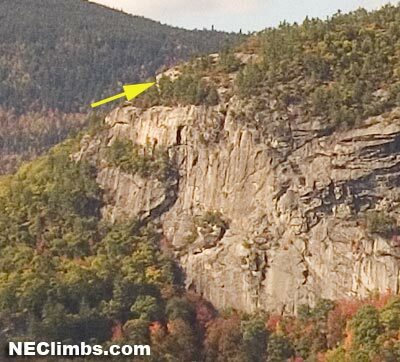 Climb any of the South Buttress routes to the top and the cliff is right there.